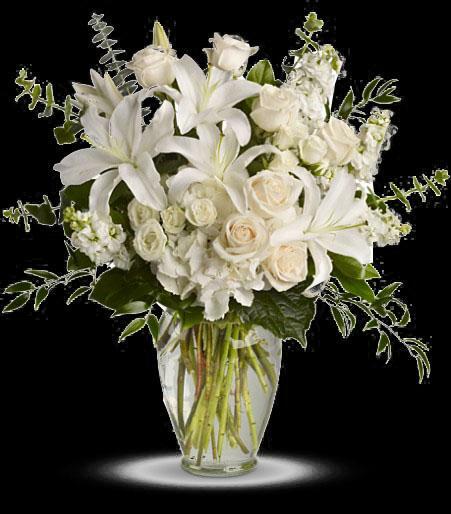 A dreamy bouquet of white sympathy flowers is a comforting reminder of your love. The lush arrangement of soft colors is delivered in a majestic, tall glass vase. This gorgeous bouquet overflows with white hydrangea, crème roses, white spray roses, white oriental lilies, white stock, spiral eucalyptus, salal and Italian ruscus in a classic glass vase.